Looking for a car mechanic? There are many automotive repair shops locally. Our certified, experienced service technicians will keep your vehicle in top condition. From minor services to major repairs, our ASE certified and experienced technicians are ready to serve your needs. We use the latest diagnostic technology to provide high-quality service and quick turnaround. 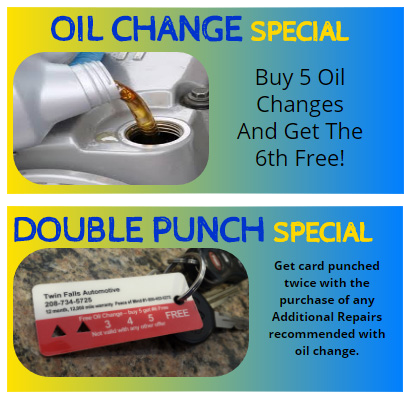 We also offer many preventative maintenance options and great oil change specials. It’s the convenient way to keep your car healthy. From head gasket to tailpipe, we’ve got you covered. We are an auto repair shop that knows what we’re doing, and we’re dedicated to keeping you safe on the road. Your satisfaction is our highest priority! Preventative maintenance is the key to keeping your car running safe and reliable. Even as advanced as current technology is, our vehicles still don’t always tell us what the problem is. Our Inspection and Diagnosis services will figure it out to get you back on the road. A/C not getting cold? We can help cool your vehicle in the hot summer heat. *Prices shown are an average based on typical actual costs for similar services on a WIDE variety of vehicles in a WIDE variety of conditions. Your cost may be more or less than the prices shown.